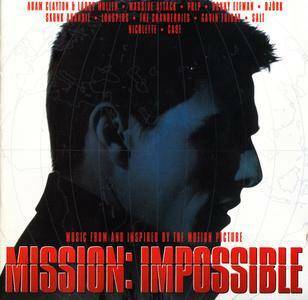 Mission: Impossible: Music from and Inspired by the Motion Picture is the official soundtrack for 1996 film, Mission: Impossible. The soundtrack was a success, peaking at No. 16 on the Billboard 200 and spawning the top-10 hit "Theme from Mission: Impossible" by U2 members Adam Clayton and Larry Mullen, Jr.. Also includes Danny Elfman, Björk, Pulp, Massive Attack, The Cranberries, Gavin Friday, Salt, Nicolette, Longpigs, Skunk Anansie, and Cast. Martha, Meet Frank, Daniel and Laurence (released in the United States as The Very Thought of You) is a 1998 British romantic comedy directed by Nick Hamm. The screenplay by Peter Morgan focuses on the chance meeting each of three childhood friends now living in London has with an American tourist. The soundtrack includes "Halo" by Texas, "Brown Paper Bag" by Roni Size, "Fall in Love with Me" by Booth and the Bad Angel, "Fools Like Us" by Echo & the Bunnymen, "Tape Loop" by Morcheeba, and "I Only Want to Be with You" by Dusty Springfield. From the avant-garde folk/jazz of Poland's Chlopcy Kontra Basia to Serbia's 'King of Apocalyptical Cabaret' Boris Kovac; the music of Eastern Europe is as diverse as the geography it represents. This Rough Guide showcases today's artists who preserve valuable traditions whilst enabling the music to evolve in new and unexpected ways. 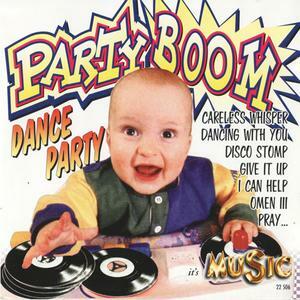 Partyboom: Dance Party is a 1992 compilation CD featuring energetic music to keep the party jumping. This was released in Germany by It's Music/Delta Music. 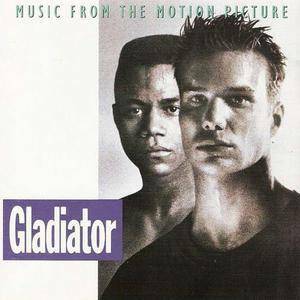 This is the soundtrack to the 1992 film Gladiator starring Cuba Gooding Jr., James Marshall, Brian Dennehy and Robert Loggia. Released by Columbia Records, it features material from Warrant, Gerardo, P.M. Dawn, Tony Terry and more. It also features 3rd Bass' title track for the film, what would end up becoming the last song for the group. 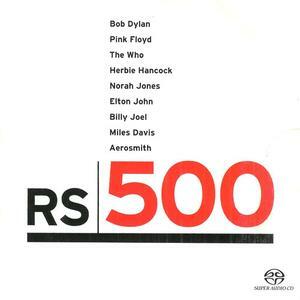 RS 500 is a hybrid SACD compilation released to commemorate the 500th issue of Rolling Stone magazine and for Sony Music to cash in on Sony's new models of SACD players. This only focuses on the proper stereo audio files, as I do not have an SACD player for a proper conversion but it is a wonderful sound. 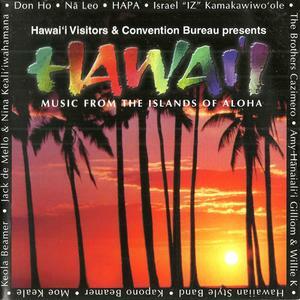 Season 02, Episode 08 -"Between A Little Rock and a Hard Place"
Hawai'i: Music From The Islands Of Aloha is a 2001 compilation CD of Hawaiian music. This was released by The Mountain Apple Company. 120 tracks of best lounge music, in six parts: 'Cocktail Time', 'Electro Swing', 'Vintage Lounge', 'Brazilian Sounds', 'Chic & Glamour', 'Spirit Of Chill-Out'. 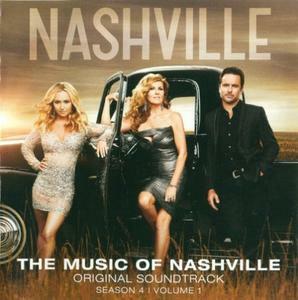 The Nashville Cast is just that, a loose configuration of actors, singers, and musicians who are part of the cast of the ABC television series Nashville, which had its debut on October 10, 2012. The series chronicles the lives of various fictional movers and shakers swept up in Nashville's music industry, and the songs they sing, write, sell, and share are a big part of the show's appeal.